If you’re a web designer who uses Facebook, you’ve probably seen an ad for TheGrid.io, the latest website automation service to hit the scene. 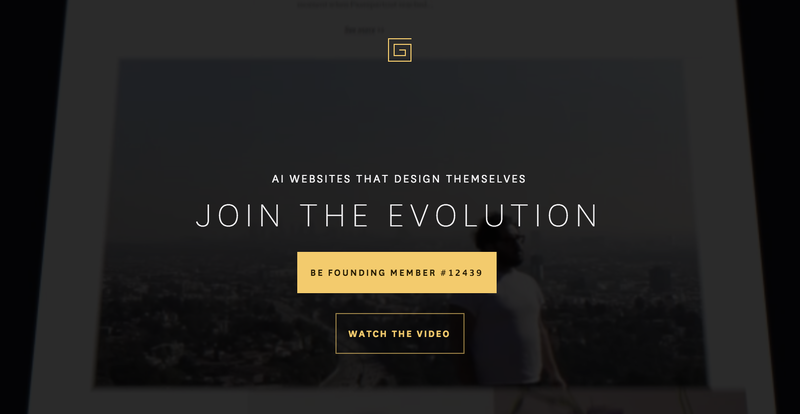 The Grid promises total website automation with sleek and modern design. According to sites like TechCrunch, The Grid “uses artificial intelligence to design your websites for you,” which sounds cooler than it probably is. Having not used the service, I can’t comment on the quality of its output too much. Based on the screenshots provided on the website, though, I’d say that The Grid can produce attractive websites that can work for most kinds of businesses. The design aesthetic tends to skew towards modern/startup-trendy, which might not be appropriate on some websites, but overall it looks fine. So I opened up Chrome Developer Tools and took a quick measurement in the Network tab. Five minutes later, I was still downloading resources. All in all, there were 127 requests totaling 89.1 MB, which on my connection took 7.6 minutes to download. I should note that, on a capable connection, TheGrid.io appears to load pretty quickly. Because it’s a long scrolling experience, they can optimize for the most immediately visible areas. Beyond the initial load time, though, the site continues to load almost 90 MB of resources, or over ten times the average amount of some of the heaviest web pages. I had to see a more detailed performance report. After my cursory test in DevTools, I was really curious what WebPagetest would make of this monstrosity. Uncached, the site took over a minute to load and over 3 seconds to render anything. According to the test results, 93 out of 100 of their static assets (images, scripts, and stylesheets) were not delivered via CDN, even though many of the assets were delivered via Amazon’s CDN. Okay, but not all sites will be long, single-page beasts like TheGrid.io. Right? It’s unclear whether The Grid favors sites like this, but it might be a safe assumption given this is the only usable example they’ve created so far. The screenshots on the site are only snippets of what could be equally large sites or sites broken up into pages. There’s really no way to tell whether The Grid customers will be able to designate separate pages of content or if they’re encouraged to just dump all of their content onto one page. Still, the trend is to include more high-res images and more video, and I would imagine that a lot of The Grid’s target market will not be too concerned about performance anyway. There’s more to come from The Grid, I’m sure. It will be interesting to see if they address their performance issues before their official product launch. This post was originally published on AustinWulf.com.